The EMF Balancing Technique®is a form of energy work which can be received one to one or remotely via Skype or phone. Accepted now in many countries as a valid form of Energy Psychology, this technique helps to release trauma and encourage relaxation of the fight or flight response in the body. Interested in creating success on your spiritual journey? Awaken your Akashic Records, develop your intuition. learn about Energy Psychology, experience growth, and abundance! The EMF Balancing Technique® is something I have studied and practiced for over 15 years now. Initially, I went to a session whilst on a visit to the UK, since the EMF Balancing Technique®, a form of energy work, is practiced in over 60 countries now. An EMF Balancing Technique® practitioner gave a group talk and demonstrated the 15-minute seated session. She asked for a volunteer from the audience. The volunteer just happened to be my friend and business partner! She seemed to really enjoy the session. I could sense energy moving around my body as the session was given to my friend. This felt as if invisible strings were being pulled. This experience impressed me, as well as the group meditation the practitioner gave us. I have spent quite a few years exploring different types of energy work. I have always been interested in how relaxed and pleasant energy work makes me feel. Until this point, however, I had never experienced energy work with such a strong physical response. Everyone else in the room seemed to feel the same way. There are 13 phases or sessions within the EMF Balancing Technique® body of work. The client experiences the first four phases of the EMF Balancing Technique®, laying on a massage table. This may sound very strange, but EMF sessions can be just as effective via Skype or over the phone. some people experience energetic phenomena, such as visions. Sometimes clients experience energy tingles, a sense of energy, a release of muscle tension. In some cases, a release of ‘stuck’ energy or a sense of energy flow and movement can be felt. some people just have the deepest sleep for the whole of the EMF Balancing Technique® session, but can still gets the same benefits afterward as those who stay awake! 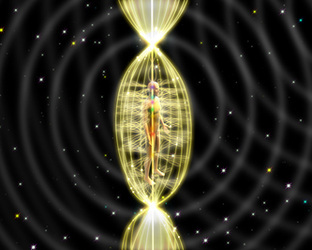 energy centers, or chakras, coming into greater balance. At the beginning of each of the first four phases, the client has a brief introductory talk and explanation of the EMF Balancing Technique® sessions. The first four sessions are approximately 45 minutes in length. The practitioner works with the heart, solar plexus, and sacral energy centers at the front of the body during the first session. In the second session, the practitioner works with the same energy centers (or chakras) from the back of the body. The method of creating energy flow during the EMF Balancing Technique® involve using specific words, phrases, and hand movements. During a session, you will hear specific words and phrases spoken out loud by the practitioner. These phrases create deep hypnotic states for clients, resulting in the relaxation response. This is essentially a letting go of the fight or flight response. The sympathetic and parasympathetic nervous systems get a rest. What this means is that anywhere you go in the world, you will receive the same session in exactly the same way from any practitioner. Why have an EMF Balancing Technique® Session? Once you have experienced one of the phases of the EMF Balancing Technique® you will understand the relaxing nature of the sessions. Sometimes clients have dreams before they even come for a session. Some clients fall asleep straightaway as a session begins as a result of feeling deep relaxation. Other clients notice interesting occurrences after the session, and sometimes even before the session which helps them deal with life difficulties more easily! An EMF Balancing Technique® session is truly a quantum event! a gentle release of trauma or emotional charges around an event, life situation or circumstance. As the field of Energy Psychology (EP) continues to grow and demonstrate benefits for all of our wellness I believe that all parents need to learn more about our Personal Energy Fields. I know that this form of energy work has enabled me to manage my energy better. The EMF Balancing Technique® has been an influential part of my spiritual journey and the work and study have helped me enormously. The energy tools introduced as part of this work definitely help me to stay balanced and grounded in life. If you’d like to experience this relatively new approach to connecting with your Personal Energy Field, then I offer Online Sessions. You can connect via Skype or over the phone and receive phases I-IV of the EMF Balancing Technique® remotely. You can contact me and figure out if this form of energy work is for you by direct experience. A simple way to discover more about the EMF Balancing Technique®! Pingback: Kundalini Meditation – what it is and how to begin if you are interested – uncoil your serpent in 2013!